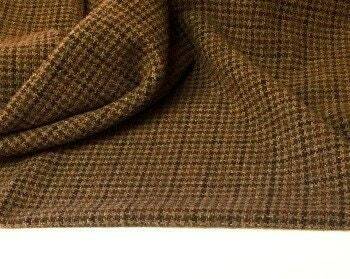 Salty Dog is a great brown plaid with subtle red stripe throughout. Great for wider cut rug hooking, applique and sewing. Received several cuts of wool from this company. Very nice fabric, quick and gracious service. Will definitely order again. Beautiful wool! Thank you for the great service!